The Lincoln is a car most often known for its prestige and status. This premium line of automobiles had a bit of a rough start, but soon found its place in the history books as a luxury car manufacturer. The Lincoln car company was first established in 1917by Henry Leland. Henry was a parts manufacturer that named the company after Abraham Lincoln for personal reasons. There are plenty of Lincoln car brochures and pamphlets to be found, as you will see below. The Lincoln car company didn’t go very long before they had financial problems and eventually sold to the Ford Motor Company which made Lincoln their luxury division in 1922. The Lincoln was great competition for the Cadillac and at that time there really only two luxury automobiles in the United States, the Lincoln and the Cadillac. Lincoln really made a name for itself when they introduced the Lincoln Zephyr in 1936. The Zephyr was so popular that at one point 80% of Lincoln’s production was the Zephyr. 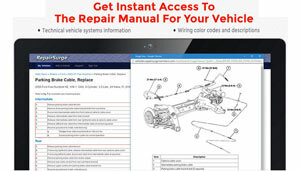 You will see from the Lincoln car brochures here. In the 1940’s Lincoln released the Continental, which was a big hit and a project that was headed up by Edsel Ford, son of Henry Ford. The Lincoln Continental was soon the vehicle that notoriety to the Lincoln name for decades to come as you will see in the Lincoln car brochures. Lincoln continued to be a top luxury vehicle all through World War II. In the 1960’s the Continental was best know their suicide rear doors that were unique to automobile, especially a luxury vehicle. The Lincoln Continental was quickly adapted to be the presidential vehicle of choice and top ranking officials nationwide. In the 1970s Lincoln continued to grow and introduce more models including the Mark IV and the Lincoln Versailles. However the Versailles was a short-lived failure that was built on a Ford Granada platform. The cars were too much a like to justify buying a luxury version of a Ford Granada. Then in 1981 Lincoln introduced the well-known Town Car. This is the car that practically everyone thinks of when they think of a Lincoln. The Lincoln car brochures say luxury when go from page to page just like the car. In the 1990’s Lincoln introduced their version of an SUV that was really a dolled up Ford Expedition, but they did a great job because it quickly became a top seller of the Lincoln brand. 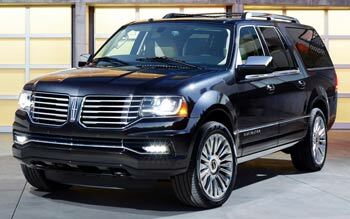 The new luxury SUV was known as the Navigator, which still remains in the line today. The Lincoln line today consists of a mere 4 vehicles, but they have a very loyal following if you want a luxury vehicle form a U.S. automaker. See the Lincoln car brochures below for a closer look.